Scientific experiments have tested and demonstrated Eleotin®’s safety. For example, test rats were given huge dosages (50 times the human dosage) over an extended period of 7 months. There were no adverse side effects or damage to the organs. All the ingredients in Eleotin® have been used for several thousands of years in various countries. They are all recorded in pharmacopeias in these countries as safe to use as food. Also, 300,000 customers have used Eleotin® with no problems. This kind of remarkable safety record could be one of the most important distinctions between Eleotin® and other diabetic products. Eleotin® is basically a food. It is so mild and gentle that one can use large quantities over a long period of time. By the time there were 40,000 Eleotin® users, only three users had reported minor discomfort. One user experienced constipation and the other two users experienced diarrhea. An immediate investigation revealed that this was due to the high fiber content in Eleotin®. Their dosages were reduced and the problems disappeared. This is the question you need to ask all the producers of herbal products: how do you know that the herbs you are using are free of herbicides, pesticides and toxic heavy metals? Simply claiming that “it’s herbal so it’s safe” is not good enough. 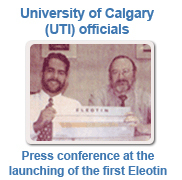 Each batch of Eleotin® undergoes rigorous testing. Various government agencies, such as those in South Korea, Taiwan, Japan, China, and others, have issued seals of safety for Eleotin® – officially proving the proving the safety of Eleotin®. These labs have also confirmed the safety of Eleotin®. There have been no herbicides, pesticides, or heavy metals present. In general, Eleotin® is a gentle and mild herbal combination that does not interact with existing treatments. Eleotin® has been used with a wide variety of hypoglycaemic drugs and other diabetic drugs. There has never been any interaction complaint. However, there is no way to absolutely exclude the possibility of a negative drug reaction. if a drug appears on the market and does not come with any specific warnings against some food, then you may feel relatively safe that there are no interactions between this drug and Eleotin®. Remember that Eleotin® is basically a food. When some drugs come with warning against some food, then consult a doctor regarding this issue. This is suggested as a hypothetical issue. So far there has not been a single case of adverse interactions between Eleotin® and other drugs. Eleotin® has shown no negative side effects other than mild and temporary constipation and diarrhea, which were reported in a statistically negligible number of users. These situations were due to the users sensitivity to the high fiber content in Eleotin®. This was easily controlled by reducing the quantity consumed or drinking the liquid only. Eleotin® does provide many positive side benefits. Users have reported many positive benefits besides healthier blood glucose levels: improvement to general health and energy, better sleep, less frequent urination, improved sexual energy, better skin, and improved vision. Some of these benefits are discussed in more detail later. Eleotin® definitely helps glucose control. According to an Asian medical insight, if one herb combination is beneficial to one health concern, it is also beneficial to many other related health problems. So it is not actually surprising that Eleotin® also helps many other health concerns and complications. We know that diabetes is the source of many diseases and hundreds of other complications. If Eleotin® improves this very source then it is only natural that Eleotin® would benefit the related concerns, and bring about many positive side effects as a result. Please monitor your blood glucose closely if you are taking both Eleotin® and an oral hypoglycemic agent. When you begin to experience the beneficial effects of Eleotin®, your blood glucose levels will naturally fall. However, the hypoglycemic drugs you will temporarily lower your glucose levels in addition. These drugs, if taken along with Eleotin®, may cause hypoglycemia – when blood sugar levels are too low. Those taking oral hypoglycemic agents should consult with their doctor to properly reduce the dosage of the drug when they begin to experience the effects of Eleotin®. Do not discontinue the drugs without consulting your doctor. Premature reduction or discontinuing your drugs may lead to serious consequences. Can My Blood Glucose Levels Rise? A small number of users found that their blood glucose levels actually went up when they first started taking Eleotin®. The reason is simple to explain. These individuals discontinued or adjusted their current methods of glucose control before the full effects of Eleotin® started to appear. Remember, it is very important to continue with your current drugs and insulin treatments until the full effects of Eleotin® begins and when your doctor advises you to reduce your drug consumption. Eleotin®s effects usually appear slowly, so please be patient. Many diabetes patients are anxious to experience Eleotin®’s benefits. Many jump to the conclusion that their diabetes is cured at the first sign of improvement. Nothing could be further from the truth. There are going to be many ups and downs. Only after a long period of careful and consistent treatment will you be safe to make such conclusions. You should check your numbers and levels such as Plasma Insulin, C-Peptide, and HbAlc to tell whether your diabetes has really improved. A lower blood glucose level after a few days is just too unreliable to conclude you are cured. There can also be a second reason why sugar levels rise. The increase in some people continued for a few weeks, and then subsided. Afterwards, Eleotin® began to work quite well. It is very likely that these people experienced the “homeopathic symptom,” or detoxification effect. The homeopathic symptom occurs when individuals are not accustomed to herbal treatments, which can cause mild headaches and mild dizziness. This homeopathic symptom is a temporary problem as people quickly adjust to all herbal treatments, including Eleotin®. This is usually not a big concern. If this happens to you, reduce the dosage by half or even to a quarter of the recommended dosage. Go back to the recommended dosage when these discomforts disappear. Rarely, but it is also possible that people with serious liver problems and kidney problems may experience a sudden increase of blood glucose when they take Eleotin®. These people experience this increased level of blood glucose when they take any herbal product, not just Eleotin®. It seems like that the liver of these people tend to release the glucose stored in their liver when stimulated by herbal products they take. It is recommended that these people stay away from any herbal products. But, if they still want to try Eleotin®, they can start with 1/8 th of the recommended dosage and gradually increase the dosage as their liver and kidney conditions improve. Eleotin® is generally safe to use with pharmaceutical drugs. But your doctor should always stay informed and you should monitor your blood sugar levels closely. Otherwise, you risk hypoglycemia. Imagine what would happen when a healthy person takes hypoglycemic agents. He will get hypoglycemia. In exactly the same way, if a person’s body develops its own ability to control blood levels as a result of Eleotin®, then keeps on on using the same amount of insulin and other oral hypoglycemic agents, then he will develop hypoglycemia for sure! Eleotin®s mild and gentle effects cannot possibly endanger your current glucose management. Eleotin® works in a safe and natural way by improving the health of your pancreas and insulin receptors. Over time, you may require less dependency on insulin and drugs. But always consult your doctor first before you reduce and discontinue other treatments. Alcohol considerably diminishes the Eleotin®’s effectiveness. Please try to abstain or limit your daily alcohol consumption when you are taking Eleotin®. In fact, alcohol consumption tends to reduce the effectiveness of any herbal treatments. Alcohol tends to wash out the medicinal ingredients of herbs. Are There Any Diet Restriction When A Person Uses Eleotin®? The importance of a healthy diet in glucose management is common sense. However, there are no restrictions on any food item when a person is taking Eleotin®. The only suggestion here is to alcohol much as possible. The reason is simple—alcohol diminishes the effectiveness of Eleotin®. Remember; do not abuse your body with unhealthy food or alcohol. Create the best environment for your body to heal while taking Eleotin®. Disclaimer: Eleotin® is classified as a health food in the U.S and Canada. We make no claims, either expressed or implied, that this product will cure disease, replace prescription medication, or supersede sound medical advice.